Old Keystone Golf Course Sub in Keystone Real Estate features beautiful Keystone homes surrounding the 8th hole of Keystone’s River Golf Course. Several of the homes in the Old Keystone Golf Course Sub are nestled along the banks of the serene Snake River as well. There are 64 lots in total and as of 2013 there are 21 vacant parcels and 43 homes. The lots in Old Keystone Golf Course Sub range in size from 0.17 – 0.50 acres. The existing homes were built between 1999 – 2008 and range in size from 2,771 – 6,175 square feet. These Keystone homes are only a short drive to either the Mountain House or River Run for skiing at the Keystone Ski Resort. 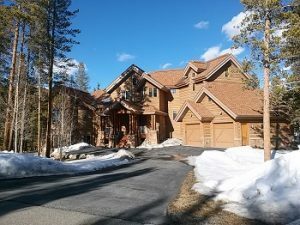 If you are considering purchasing a home for sale in Keystone Colorado, browse the homes for sale in Old Keystone Golf Course Sub or view all Keystone Colorado Real Estate for sale. For additional information about homes for sale in Keystone CO, current market data or questions about properties you view online contact Justin and Krystal Knott with LIV Sotheby’s International Realty.